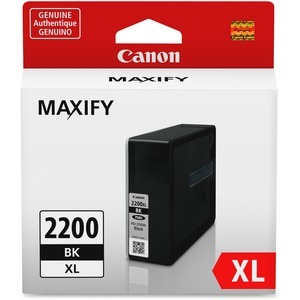 Print with laser-sharp quality in Canon Maxify iB4020, iB4120, MB5020, MB5120, MB5320 and MB5420 with this high-yield ink tank. This innovative ink formula offers exceptionally dense and durable inks that are smudge-proof and highlighter-resistant. Ink tanks are easy to install.